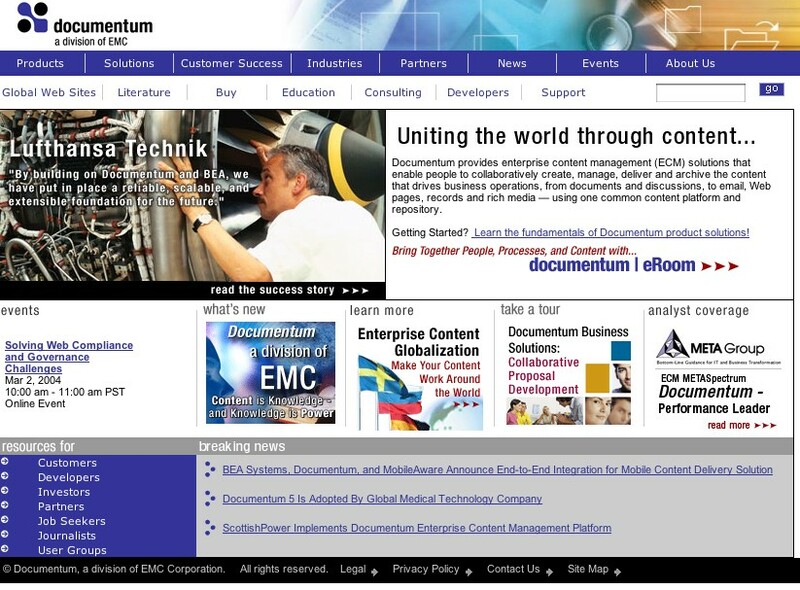 Documentum is a developer of well-regarded content management software. It also offers a software package that helps companies manage multilingual Web sites. 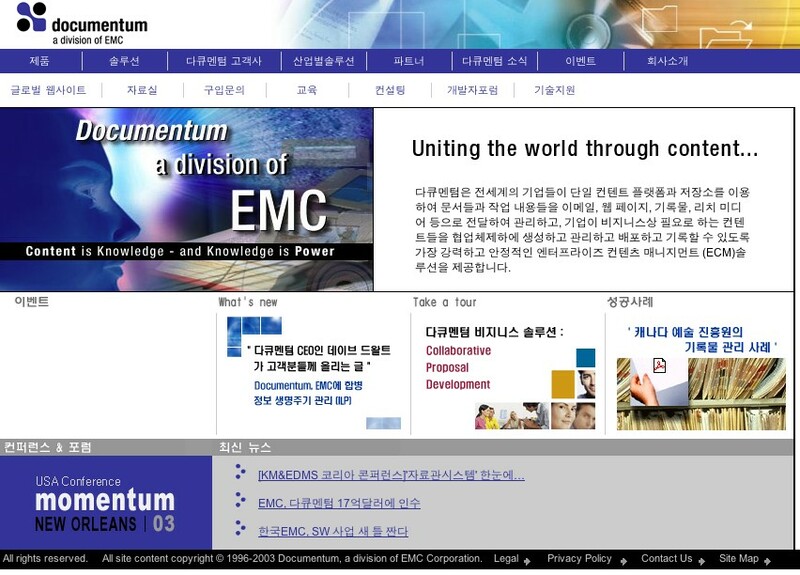 Now let’s assume we don’t speak English and we want to get to, say, the Korean home page. The link to the “global gateway” isn’t exactly easy to find for non-English speakers; ideally, the link should be located on the top right-hand side of the page and should include an icon, such as a globe. I realize that many designers may find a globe icon boring, but these icons make a big difference for non-English speakers. So we find our way to the Korean site, shown below. The major problem I want to highlight should be quite obvious. Notice the rather prominent chunks of English content. Some of this is unavoidable — as there are a number of product names, which are almost never translated. Yet there is also a promotion for a Documentum event — shouldn’t this be translated into Korean? It should, but what we have here is a graphic with embedded text — and these objects often miss out on the localization workflow. As a rule, embedded text is more time-consuming and resource-intensive to localize than plain text. Some Web developers simply don’t have the expertise or tools that will allow them to take a graphic that contains English text and convert it to Asian text. What’s the solution? Simply scale back on your use of embedded text. What Documentum might lose in “flash” it will gain in usability. Microsoft: Death by a Thousand Languages?